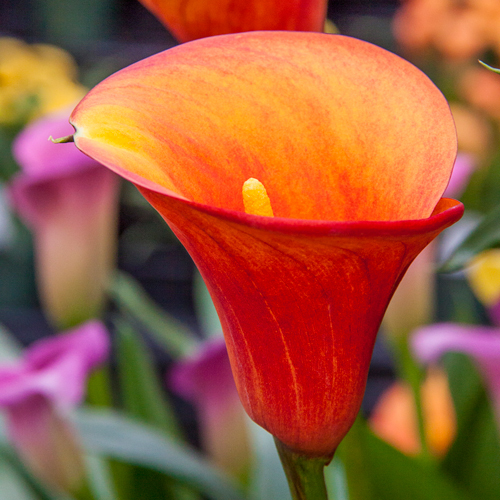 Flama Calla Lily produces fiery orange, chalice-shaped, 2-3" flowers that are excellent for cut flower arrangements and bouquets. The flowers last for up to two weeks! The brilliant orange flowers also look outstanding in the garden as well as patio pots and containers. Calla lilies are treasured for the elegance they add to fresh bouquets and flower arrangements. Their lance-shaped foliage remains attractive after flowering season. It's easy to produce these exquisite blooms in your own garden. These lilies prefer full sun to partial shade and loose, well-drained soil. If planted in the garden, the bulbs must be lifted in the fall in colder climates. 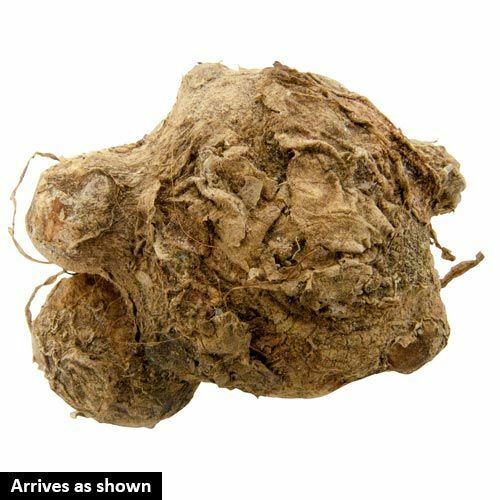 Soil RequirementsWell-drained, humus-enriched soil. Likes to be moist, but not wet. Needs good drainage.